90% of diets fail, but our Hypnotic Slimming Club boasts a 70% success rate. 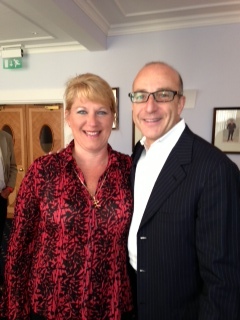 The programme is based on Paul McKenna's "Easy Weight Loss" workshops, where I have assisted Paul McKenna. His best-selling book, "I Can Make You THIN" was trialed by attendees of "The Richard and Judy" show with a 71% success rate. We human beings are the only species on this planet who are prone to being overweight. This is because we no longer eat only when we are hungry, but we eat for other reasons such as when we are bored, lonely, or miserable. Even when we do eat because we are hungry, we don't recognise the signal of when to stop. If you have tried diets and failed, it is because you limit your intake of food over a period of time, but do not change the underlying behaviour that made you overeat in the first place. When the diet is over, we slowly drift back to our old habits and put the weight back on. The result is yo-yo dieting! Hypnotic Slimming uses the power of the unconscious mind to achieve lasting change to your eating and lifestyle habits and therefore permanent weight loss. You get one-to-one coaching and hypnotherapy sessions to help you achieve your weight-loss goal. In our work together, you will develop a new relationship with food and a new way of eating that you can maintain for the rest of your life. We are now also offering Gastric Band Hypnotherapy. Call now to see if this is the appropriate choice for you for personal hypnotherapy and weight loss coaching. The exciting news is that we are now offering Hypnotic Slimming over the phone or Skype. Why not take advantage of this convenient and more affordable option?